“People are taking their comedians seriously and their politicians as a joke,” American humorist, Will Rogers said a long time ago. With half of young Americans getting their news from cable comedy shows and this week’s election results, I thought of this amazing quote. It also reminded me that we shouldn’t take life too seriously. I’ve been on a real serious streak lately and I took a few opportunities this week to “let my hair down.” I had received several pieces of bad news prior to my birthday and had been increasingly anxious about getting old, so on Halloween I decided to act like a teenager again. I love Halloween. I love that my birthday is on Halloween. 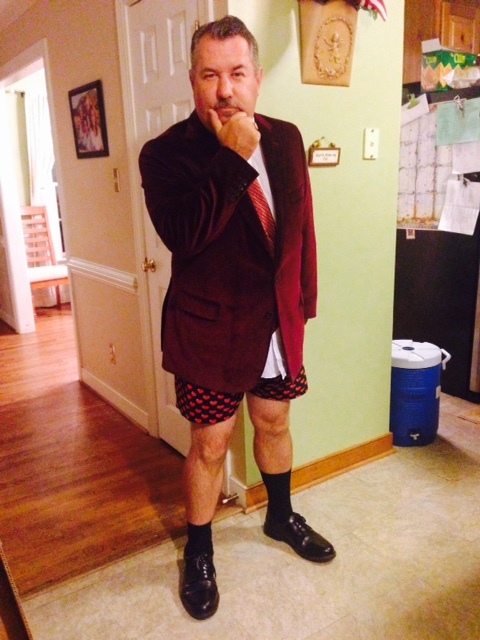 And I love the fact that I could dress up as Ron Burgundy, the Anchorman (without pants). For Halloween I dressed as Ron Burgundy. Next Madison+Main’s Weekly Report 10/31/14 – Boo!